Cardarine binds to the PPAR-delta pathway which is hypothesized to increase energy, burn fat, build muscle, improve endurance and decrease the amount of lipids in the blood. Cardarine was initially researched for its fat-loss properties and is most notably used today for this purpose. The PPAR-delta activation triggered by Cardarine activates a number of genes involved in fat burning and energy usage. There have been various studies that prove Cardarine’s efficacy. One study of 305 patients with low HDL (good) cholesterol showed a significant increase of HDL cholesterol, a reduction of LDL (bad) cholesterol and a reduction of total triglycerides. Another study showed Cardinine increased the use of fats as energy by activating fat-burning and carnitine genes. Activation of the PPAR-delta pathway blocks substances involved in inflammatory responses on the DNA level, which means the overall activity of inflammatory genes is decreased. Cardarine was demonstrated to improve the healing of diabetic wounds in mice through reducing inflammation and has been demonstrated to inhibit the production of anti-inflammatory compounds in rats. In mice, the activation of the PPAR-delta pathway has been proven to facilitate the development of muscle fibers. Mice that received PPAR-delta stimulation could run twice as long as untreated mice and, because of its stimulation of the PPAR-delta pathway, Cardarine is suspected to have the same effect. In a clinical study of 6 overweight volunteers, Cardarine was shown to lower liver fat by 20%, lower insulin by 11% and to decrease blood fats as well. 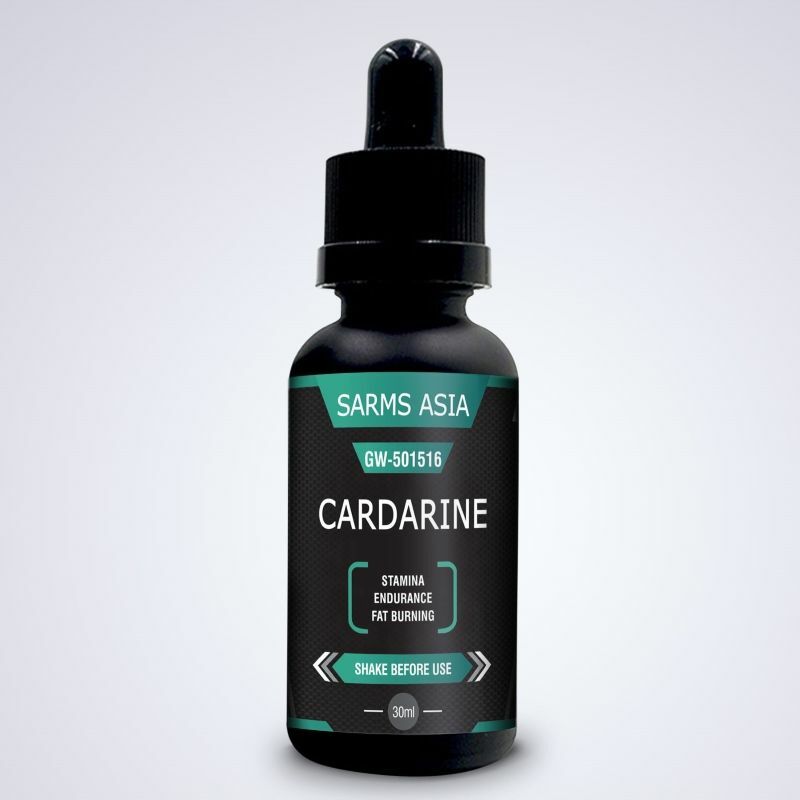 Cardarine prevented oxidative damage to blood vessels in mice by increasing levels of nitric oxide, which is shown to protect and relax blood vessels. Cardarine is even shown to increase the creation of new blood vessels in human hearts, although here the main application is for those with heart disease this may be dangerous for those with healthy hearts. It’s most popular use has been far-and-wide in the endurance athlete community. These include athletes such as runners, muay thai fighters, swimmers, and cyclists. Cardarine has been shown to increase time to exhaustion, mile time, and VO2 max, among other variables and tests of endurance. Clinical studies of GW-501516 have involved 2.5 – 10mg/day of Cardarine for up to 3 months. For men, the recommended dose is between 10 – 20mg per day. For women, the recommended dose is between 2.5 to 10mg per day. Cardarine is known as a very safe product that produces little to no side effects.